MOSCOW (Sputnik) - Turkey and Russia will jointly determine which radical groups should leave the territory of demilitarized zone in Syria's Idlib province, Turkish President Recep Tayyip Erdogan said in an article released on Sunday. "During negotiations on Idlib in Sochi we decided to establish a demilitarized zone between the territories controlled by the opposition and regime. The opposition will remain on the territories which it occupies. We will ensure that radical groups, designated by [Turkey] together with Russia, will not be able to operate in the region," Erdogan wrote in his article for Russia's Kommersant newspaper. Turkish President also said that Washington continued to support the Kurdish People's Protection Units (YPG) and the Democratic Union Party (PYD) in Syria, thus disrupting the balance in the region. "Unfortunately, we see that the extraordinary support that has recently been provided, especially by the United States to the YPG and the PYD forces, continues. 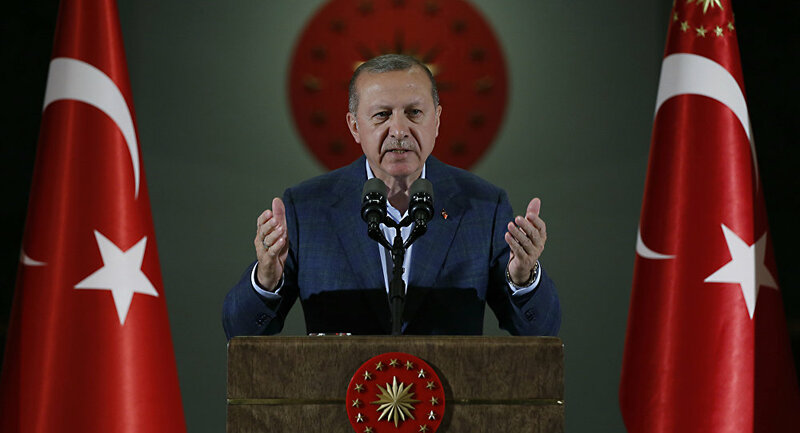 Such steps, which damage the balance in the region and the peace between its peoples, must be stopped," Erdogan wrote in an op-ed piece for the Kommersant newspaper, dedicated to the agreement between Russia and Turkey on Syria's Idlib. Erdogan once again stated that Turkey attached great importance to the liberation of areas controlled by the PYD and the Kurdish-led Syrian Democratic Forces (SDF). He also expressed hope that Russia would support Turkey in the fight against the PYD and the SDF, which are recognized as terrorist groups by Ankara, but not by Moscow. 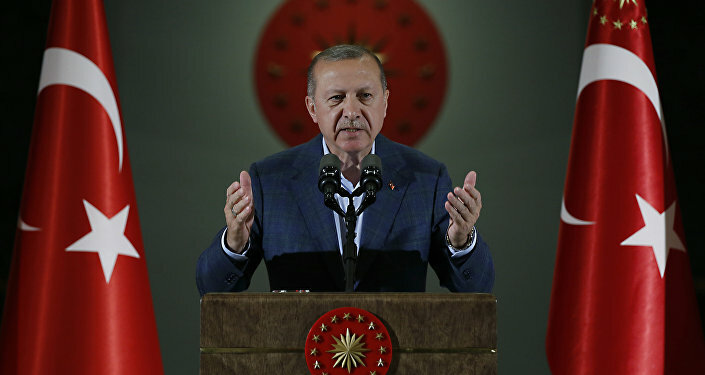 "We also hope for Russia's support in the struggle of Turkey with such terrorist organizations as the Kurdistan Workers' Party, the PYD and the SDF, and I think our neighboring countries should have a common view of the circumstances threatening each other's security," Erdogan said. On Monday, Russian President Vladimir Putin and Erdogan met in the Russian resort city of Sochi and signed an agreement on setting up a 9-12 mile demilitarized zone in Idlib along the contact line of the armed opposition and the government forces by October 15. All heavy weaponry operated by rebel groups must be pulled out of the demilitarized zone by October 10, the agreement stipulates.